First off, I wanted to mention that up until the time I had heard about this show, which was less than two weeks before it happened, I wasn't even sure if Blue Cheer was still going. Glad to discover that they are. Never seen them play live before. Funny thing is I could never find anyone else who had seen them ever. In an interview by founder guitarist / vocalist Dickie Peterson, he said he couldn't ever remember playing Kansas City. Another source, which was an old article from the Kansas City Star indicated they were here in 1972 with Iron Butterfly possibly. Simply cannot expect Peterson to recall an event that long ago. A semi-exciting little club gig to catch on a warm summer evening. Didn't expect this trio to play as long as they did, a full ninety minutes. The nearly hundred or so patrons in attendance got to hear Blue Cheer perform every, and yes, from looking at their set list I do mean every, song off their first album, ' Vincebus Eruptum', and two songs off their second LP, 'Outsideinside'. I mean, let's face it, most old band's wouldn't do that. They're usually too much wanting to play their new material as well. I looked at a couple of live Blue Cheer CD's from the past recent years and it looks like they apparently change their set list around and often. That's a good thing. Even though many still ' tag' this trio as acid rock or psychedelic, I thought they were more in the heavy blues-rock vein. They opened with "Babylon", "Second Time Around" and the wailing "Rock Me Baby". This particular line-up of the band has been together for something like twenty years now, with two out of three original members. Not bad for an act that's been at it for forty years now, wouldn't you say? Next up was "Parchment Farm", "Out Of Focus", "The Hunter", their sole hit, "Summertime Blues", a fifteen minute jamming version of "Doctor Please" (perhaps the best song played all night) and their encore, after talking about remembering a young Jim Morrison hanging out in bars when they once played the old Whiskey A-Go Go, a Doors cover, a rough mix of "Roadhouse Blues". Line-up: Peterson - bass & vocals, Paul Whaley - drums (other original member) and Duck McDonald - guitar. Got to hang out with the band after the show and spoke to McDonald about their several releases they have out on the Japanese label Captain Trip. We were more or less comparing notes on their CD's. He told me they had done a three day tour in Japan co-headlining with Mick Farren and the Deviants. How cool is that? Not much else to mention except that I had a good time here tonight. 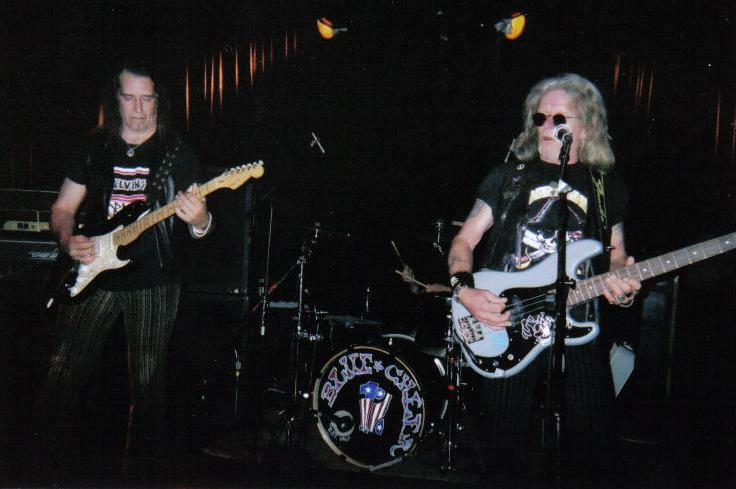 Catch Blue Cheer in a town near you if you get the opportunity.